It's pumpkin season yet again! And this is the toasts of all fall toasts to kick off the season on a good note. 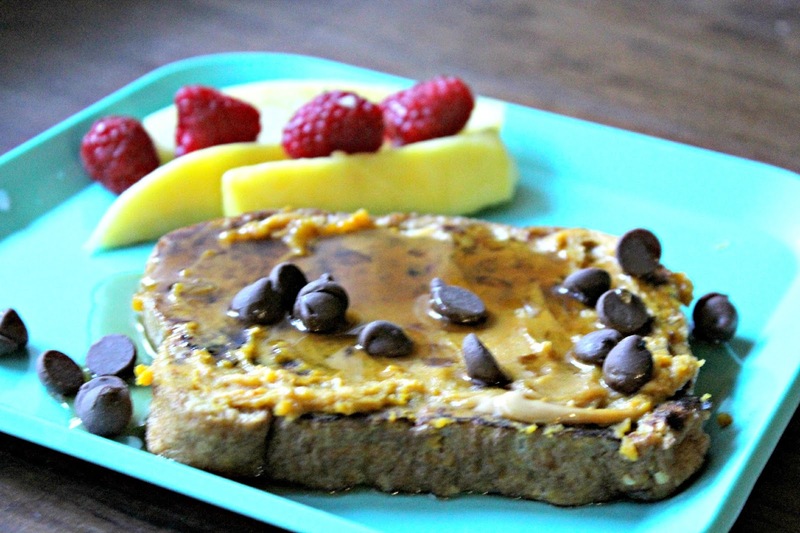 Pumpkin, peanubutter, chocolate chips... you can't really go wrong. French toast has always been one of my breakfast faves. But this french toast steps it up a notch with its pumpkin-y goodness, creamy peanutbutter layer, and a sprinkling of milk chocolate chips. It so easy too! I loved that I could whip this meal up before classes. 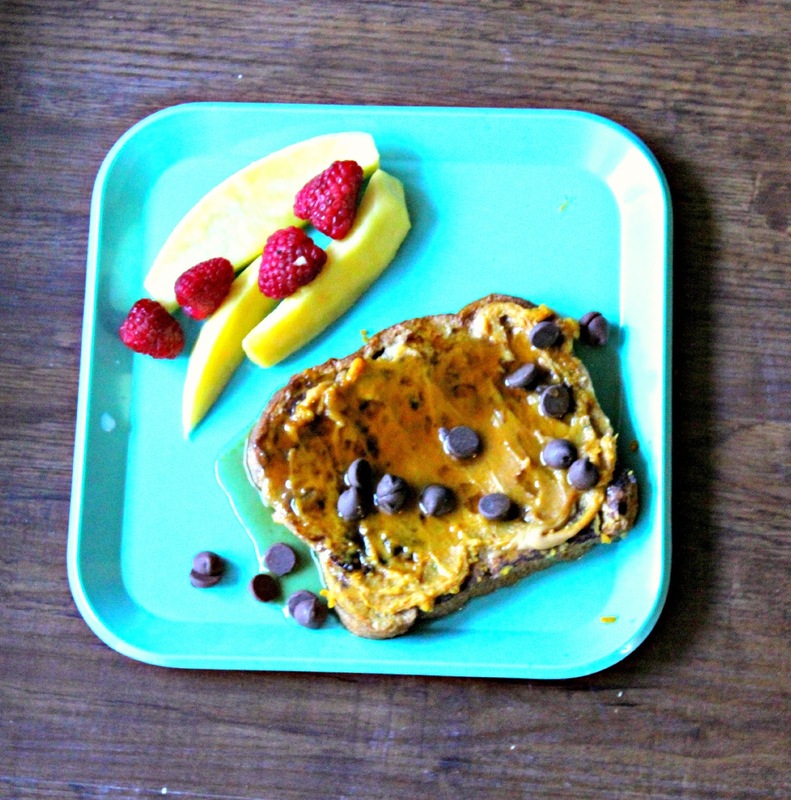 If you are looking for something quick and delicious, this french toast is for you. Be sure to drizzle pure maple syrup atop. It brings out the sweetness in the pumpkin and chocolate chips, making this breakfast a new classic. You are absolutely going to love this. Give it a try and let me know! 2. Dredge the bread pieces in the pumpkin mixture, saturating both sides. 3. Spray a pan with cooking spray and heat the dredged toast until golden brown on both sides. 4. 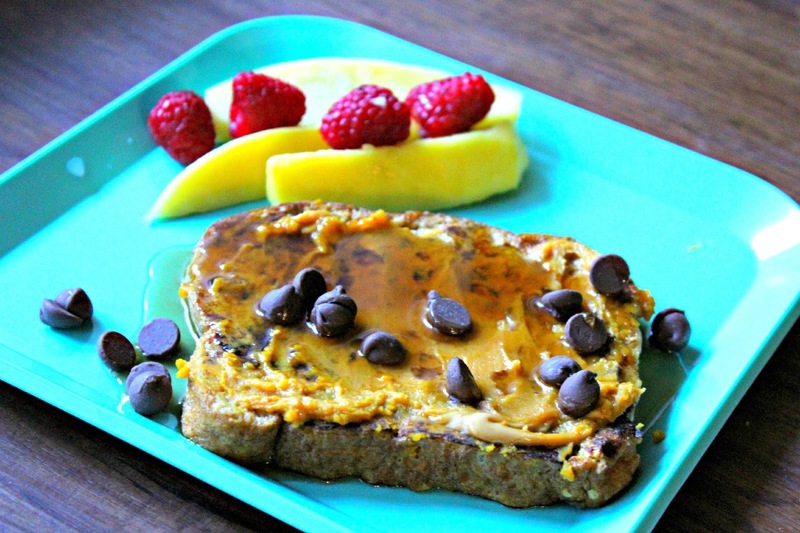 While toast is warm, spread the peanutbutter pumpkin spread on both slices of french toast. 6. Don't forget the maple syrup! Looks so good! I love a sweet breakfast treat! It is definitely sweet indeed! :) let me know if you give it a try!